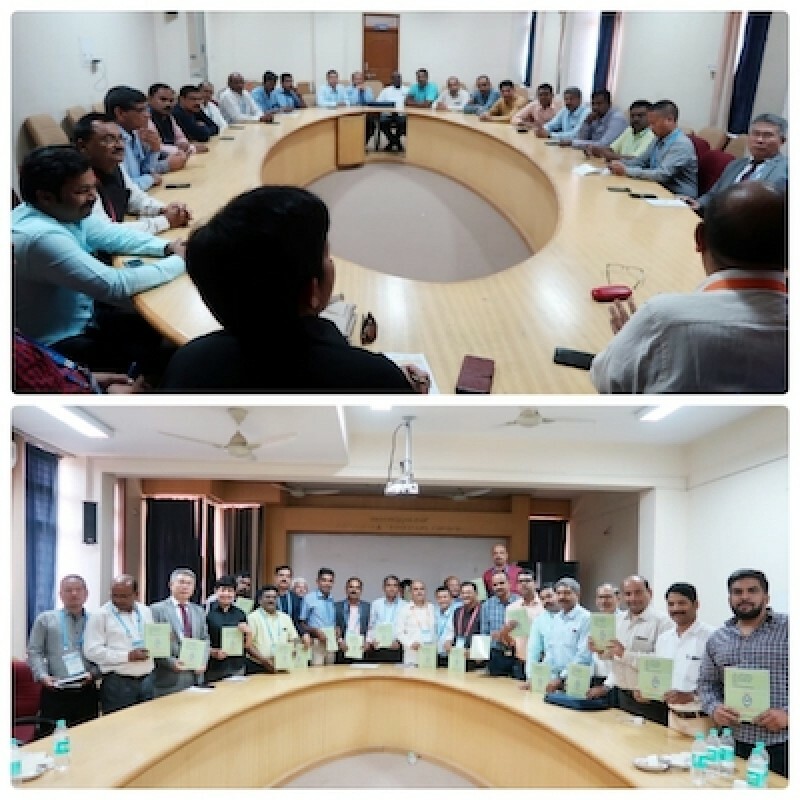 A meeting of the Pashu Chikitsak Mahasangh (PCM) executives was held at KVC Bangalore on Mar 4, 2019, under the chairmanship of the President PCM, Dr Chirantan Kadian. The meeting was attended by Veterinary officers from most states of India. At the outset, a great sense of satisfaction and gratitude was expressed to the President PCM for his untiring efforts to help fellow veterinarians across the Nation at the time of need. Dr Chirantan’s efforts to get the combined vaccine for HS & FMD introduced in the State of Haryana was greatly lauded because it would not only save time and energy for vets and the para vet staff but would also cause 50% lesser pain to the precious livestock thereby increasing their productivity. Ultimately, the farmer was the one to be benefitted by the whole process. It was hoped that the scheme will be extended to other states also very soon. Various issues related to veterinarians across the country were discussed at large. It was observed that in some of the states posts of veterinarians were lying vacant in huge numbers since long causing a heavy burden on the shoulders of the working vets. Lack of NPA and shortage of the supporting staff were two important issues for several of the other states. Treatment exercised by the unqualified personnel trained for the purpose of AI from NGOs and those appointed by the State Livestock Development Boards was considered an important cause of concern because such people are not only playing with the lives of the precious livestock but also maligning the profession otherwise since the innocent farmers are not able to differentiate between a veterinarian and a quack. It was also discussed that the Krishi Vikas Kendras run by the State University Faculty should instead be run by the field staff of respective disciplines because the University faculty hardly visits the farmers’ places whereas the field vets work all the time with the farmers. Hence, there is better communication, cooperation, understanding and knowledge with the field vets to solve their problems. The issue of supply of sub-standard medicines in some of the veterinary hospitals was also raised by some of the participating members. One of the dire need felt was of finding ways to make the Veterinary Council of India, a functional entity. In the absence of a controlling body like VCI, essential to ensure standards of veterinary education throughout India, the future of the profession was considered in jeopardy. President PCM apprised that because of not so good intentions of some of its elected members, the VCI had been dragged into courts rendering it worthless so much so that for the past many years, even the college admissions has been abandoned by the body, not to think of any checks on the quality of the education. It was decided that PCM will take every initiative possible to revitalize the premium body. One of the other most important topic discussed was that of revival of the Indian Veterinary Association (IVA). Once IVA was a highly revered and strong organization looking after the interests and welfare of all veterinarians of the country.PCM has tried time and again to call general body meeting of IVA and conduct fresh elections to give way to the young blood to act and achieve. But to no avail.Therefore, at initiatives of the Tamil Nadu vets, an adhoc body of the IVA was constituted to convene a General Body Meeting of IVA shortly to revive and revitalize the IVA in a fair and democratic manner. Apart from its meeting, since PCM was one of the co-sponsors of the 7th PCVC, it was a great opportunity for the participating members to meet and interact with a number of the top brass of profession from all over the Globe. Dr SM Johnson Chiang, President, World Veterinary Association; Dr Mark Schipp, President, OIE; Dr Peter Thornbur, President Commonwealth Veterinary Association, Dr Abdul Rehman, past President, Commonwealth Veterinary Association were a few to name from a long list of the foreign delegates whose response to the PCM was highly respectful and receptive. Dr SN Yalagod, President Karnataka Veterinary Association and his complete team attracted highest appreciations and gratitude from all the participating states for their exquisite stay arrangements for them.